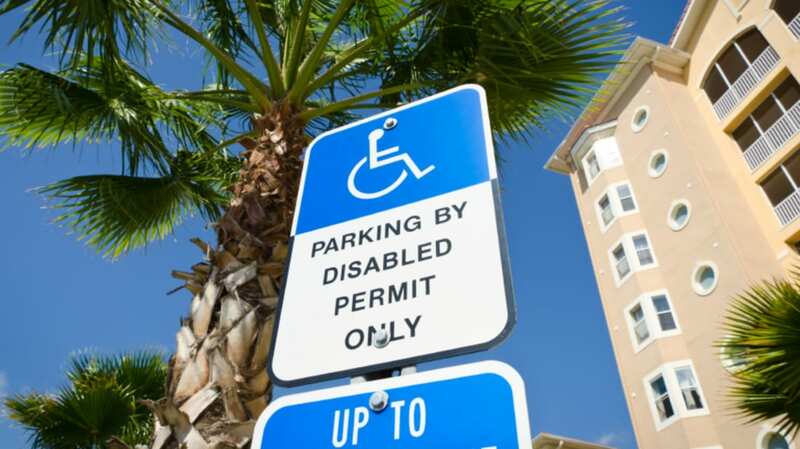 Why Did ‘Disabled’ Replace ‘Handicapped’ As the Preferred Term? Handicapped, as used to describe people with disabilities, is a term that rose and fell with the 20th century. It arrived on the scene in the late 1800s as a way to talk about a range of disadvantages — one could be economically, socially or even morally handicapped by circumstances. The term was borrowed from the racetrack, where a horse that was stronger, faster, or otherwise superior in some way could be given a handicap (a weight, a longer distance, a later start) to equalize the chances of the competitors. Initially, parties to such matches agreed to the conditions of the handicap by placing their hands into a cap and either pulling out or leaving cash stakes they had placed there. This idea of “hand in cap” is where the word first came from. Handicap began to be applied to physical and mental differences in the early 1900s, when the new fields of sociology and social work started looking at people in terms of their place in society as a whole. What had been seen before as individual failings or flaws were recast as disadvantages with respect to larger contexts. If life was a horse race, a person with a physical disability couldn’t compete as well because of the burden they had been handed, not because they were defective by nature. Over the next decades, old words that cast disabilities as personal flaws—crippled, lame, imbecile, invalid etc.—became increasingly offensive sounding, and by the 1970s, handicapped had become the term of choice in social services and legislation. Things started to change at just that time with the birth of the disability rights movement. A community of people fighting for more independence and self-determination rejected the term handicapped in favor of disabled. This seems counterintuitive, since, at first glance, handicapped looks like the more enlightened choice. It replaced other terms that had accumulated centuries’ worth of terrible connotations. And disabled might appear to be one of those terrible terms. Its etymological form means “rendered incapable,” not a very liberating sentiment, and it had a history of being used to describe disabled people going back 200 years before handicapped came on the scene. But for activists looking for a way to refer to their new campaigns and organizations, disability seemed the better choice. For some, the word handicapped evoked the idea of a beggar with cap in hand, though this was not the original source of the word. And disabled at that time was attractive for its rather cold, clinical connotation, meaning that it lacked euphemism or patronizing attitude, things that were also a problem for terms like special or differently-abled. The main problem with handicapped, though, was simply that it had not been chosen by the people it was supposed to describe. By the time the American with Disabilities Act was passed in 1990, the term handicapped had already become fusty and awkward. It was the activists who had fought for the act, and decided for themselves what language to use, who ushered it off the stage as the century drew to a close.